Have you tried dry brushing? While an ancient practice, this skincare ritual has gained popularity in recent years touting a wide range of benefits from smoother skin to moving toxins through the body. Here&apos;s how - and why - to dry brush. 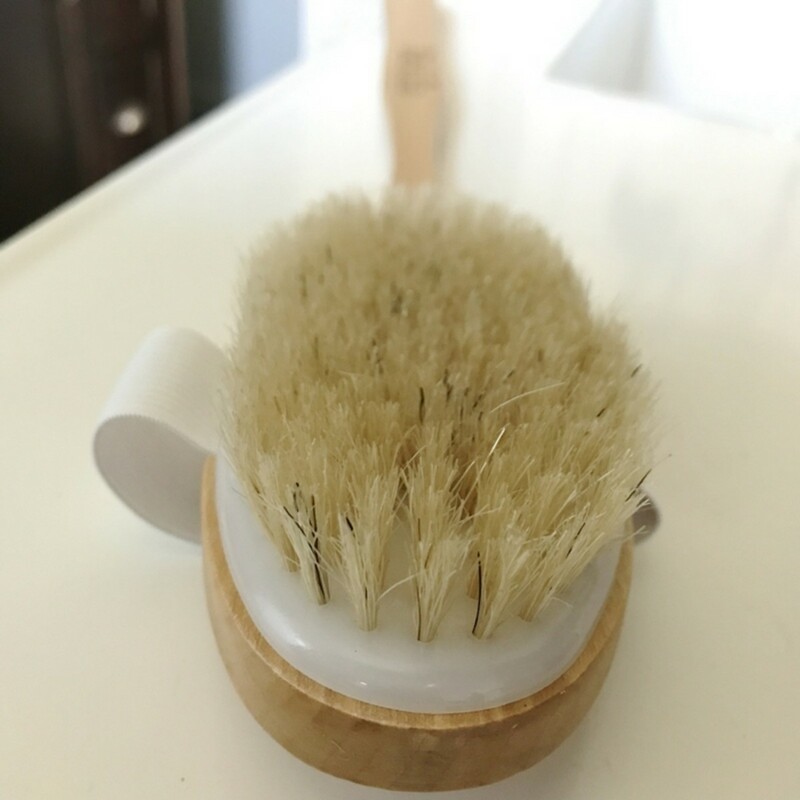 Dry brushing is exactly what it sounds like - using a natural bristle brush to brush across dry skin. It&apos;s best done in the morning and pre-shower. 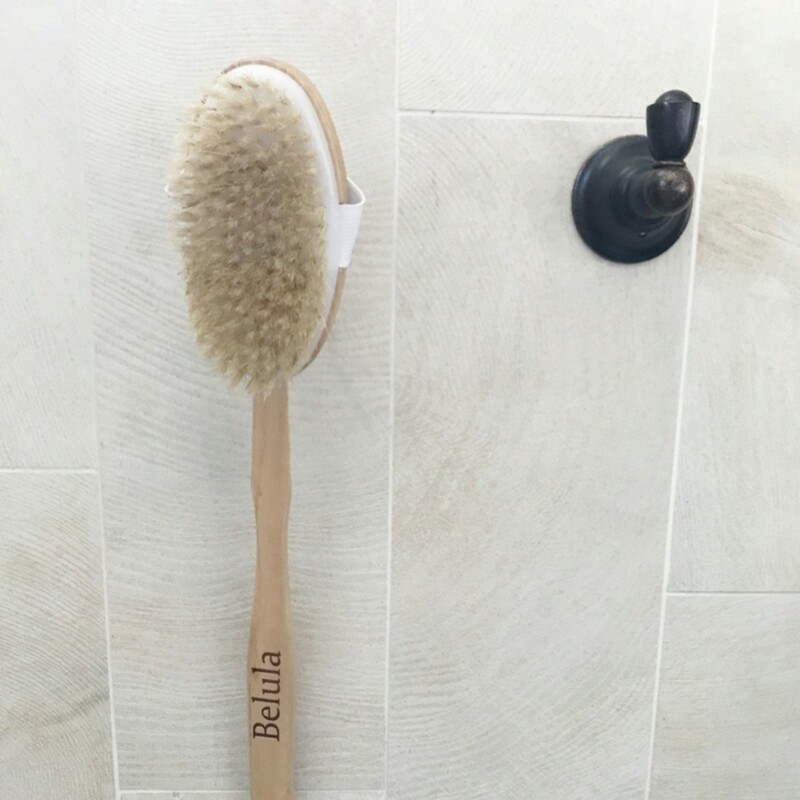 I started my dry brushing experience with this Belula Care Dry Brush Set that includes a set of exfoliating gloves, a small facial brush, a full-size brush, and a detachable handle. The gloves are gentler than the brushes which can help your skin slowly become accustomed to dry brushing. The gloves can also be used wet in the shower unlike the brushes. So why should you dry brush? There are a number of benefits both for your skin and your body as a whole. Skin exfoliation: Dry brushing is great way to gently exfoliate your body from head to toe. By brushing off dead, dry skin, you&apos;ll help your skin look brighter and fresher and absorb moisturizers and oils better. Support for the lymphatic system: The main role of the lymphatic system is to transport lymph, a fluid that contains infection-fighting white blood cells, throughout the body. It also works to filter out bacteria and absorbs and transports fatty acids and fats. According to one source, the gentle sweeping strokes of dry brushing "encourages the discharge of metabolic wastes along with the removal of the toxic influences from soaps, skin creams, antiperspirants and promotes healthy skin." Circulation booster: As you help encourage movement in the lymphatic system, you are also waking up your skin, nerve endings, and blood flow from head to toe. It&apos;s also invigorating which makes it a great ritual to add to your morning and why many experts recommend avoiding it before bed. And then there&apos;s cellulite....There are a number of claims about dry brushing helping cellulite, but there isn&apos;t much science to back it up. Last week we shared some some treatments - from DIY to the doctor&apos;s office - that canhelp you deal with cellulite. Dry brushing isn&apos;t difficult but there is a central principle - brush towards the heart in order to best aid the lymphatic system. Start at your feet and move in long sweeping motions up the body towards the heart. Brush up the front and back of the arms towards the heart. Brush down from the neck, upper shoulders and chest towards the heart. I love how smooth it makes my skin and wakes me up in the morning. My skin absorbed much more of my post-shower oil when I dry brush before. I loved the morning mini spa session and beginning-of-the-day reminder of the importance of self-care. It&apos;s hard to add another to-do to the morning to-do list. Many newbies drop out on dry brushing or forget to do it regularly. The benefits of dry brushing can be seen quickly, but for them to last, you have to brush regularly. So start a ritual! Something that will be about you and your skin. I’m doing mine in the morning, before shower three-four times a week. I always start on Monday morning to get that fresh start of the week feeling and I always leave the house with a smile and energetic. Every body has a different tolerance to dry brushing, with some areas being more sensitive than others. Be patient. Start with gentle strokes. In time, your body will get used to it and demand stiffer brushes or more strokes over the same area. We’ve also included in our package a pair of exfoliation gloves, for those who are just starting for the very first time. Use that for one week or until you adapt to it. You’ll also find tips on how to soften the bristles. Keep your brush clean and sanitary. It’s better to have your own individual brushes and not share it, even if it is family. Clean it once or twice a month, depending on how often you use it . 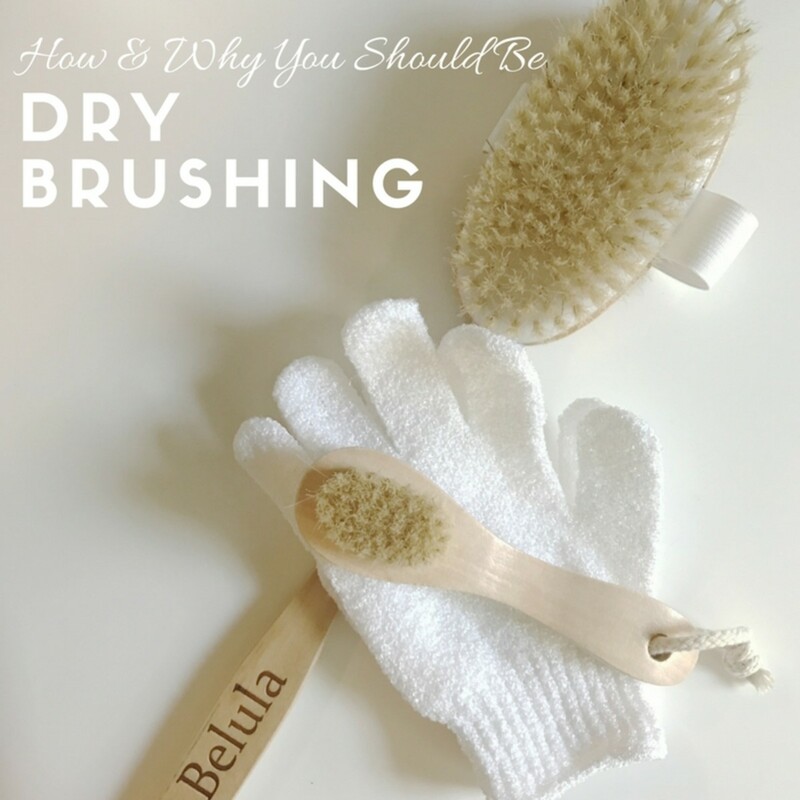 Have you tried dry brushing? What benefits do you see? And more importantly - how do you fit it into your morning routine?! Pick up your own dry brushing set and get your skin ready for summer! Momtrends was not paid for this post. We were provided with a sample. Affiliate links included.